Due to Data Privacy concerns NATPE no longer publishes the names of attendees to the public. 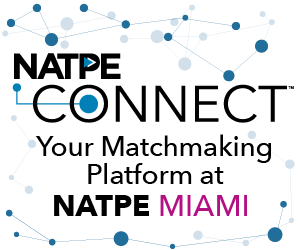 However, if you are already registered for the 2019 NATPE MIAMI Market + Conference you can view contact details and request meetings in NATPE CONNECT. If you have not received your login details and you are registered, please inform us at registrationinfo@natpe.org. Click on the button below to download the 2019 NATPE MIAMI Attendee List in Excel (.xlsx) format. This list shows registered Attendee Companies (including Job Title and Company) registered to attend NATPE MIAMI. Click on the button below to download the 2019 NATPE MIAMI Buyers List in Excel (.xlsx) format. This list shows registered Buyer Companies (including Job Title, Company and Country) registered to attend NATPE MIAMI. Click on the button below to download the 2019 NATPE MIAMI Exhibiting Companies List in Excel (.xlsx) format. This list shows registered Exhibiting Companies (Company Name and Country) registered to exhibit at NATPE MIAMI.